Mrs. Jeanne Duhan is an outstanding music educator, a tireless advocate for children, and a kind person. In the past five years at K-Beach Elementary School, Mrs. Duhan has gone above and beyond expectations to meet the unique needs of her students. 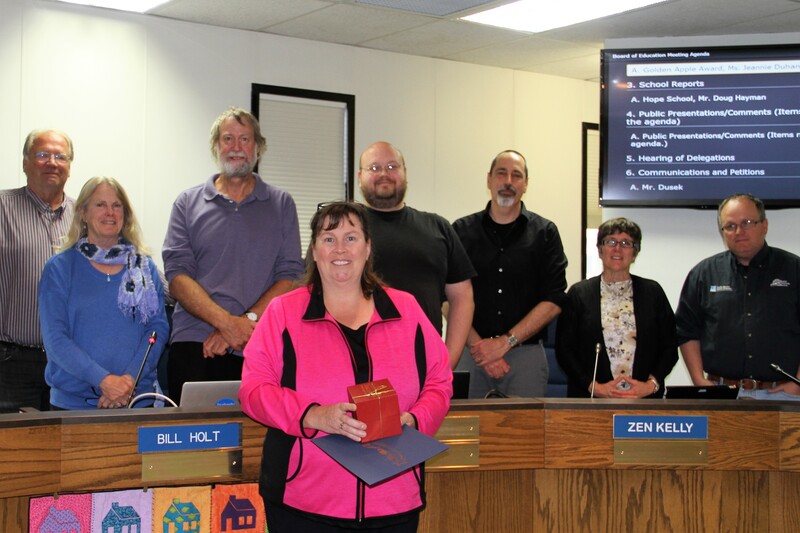 For example, recognizing the need for more structured music learning activities for students over the summer, Mrs. Duhan cofounded and directed the band of the Con Brio Music Camp for two years. 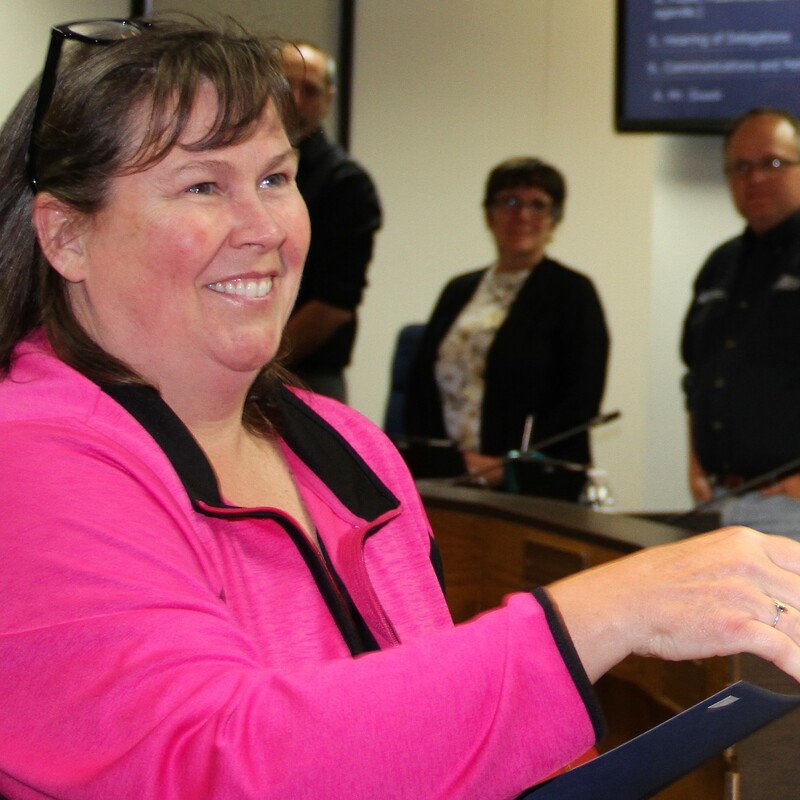 She spearheaded the Kenai Peninsula Borough School District adoption of SmartMusic, which is an innovative software application used to provide band students with individualized feedback on their performance. “Additional contributions to our district and the wider music education community include adjudicating at a number of regional and statewide festivals; serving as guest conductor of the Aurora Music Festival Mass Band; serving as a student teaching mentor, as well as an informal mentor to a number of early career teachers in our district; designing and leading a number of professional development programs for our district music teachers, including training in instrument repair, music technology, and band teaching methods; and opening an instrument repair business,” said Jonathan Dillon, Mountain View Elementary music teacher. In addition to the band program, the students at K-Beach Elementary are not just performing music, but learning how to perform music. The fundamentals of becoming a good musician are taught throughout her classes and will benefit her students and the schools for many years to come. Outside of school, Mrs. Duhan maintains an active performance schedule, and plays the French horn with the Kenai Peninsula Orchestra, the Redoubt Chamber Orchestra, and various chamber ensembles; Bari saxophone with the Peninsula Jazz Band; and guitar and vocals with the band, Recess Duty. Being so active in the community through music offers inspiration to her students and families. 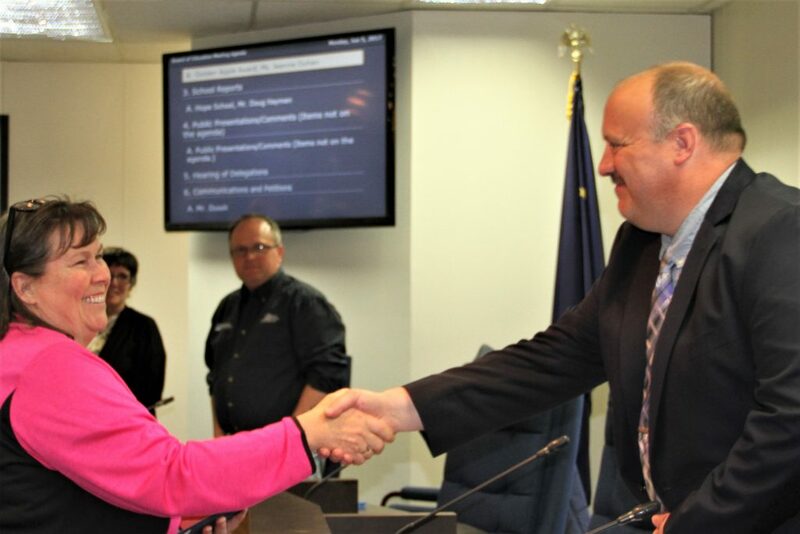 The Kenai Peninsula Borough School District Board of Education is proud to recognize Mrs. Jeanne Duhan for her dedication to the students of the school district, past, present, and future. This entry was posted on June 5, 2017 at 6:32 pm. You can follow any responses to this entry through the RSS 2.0 feed. You can skip to the end and leave a response. Pinging is currently not allowed. 1 Response to "Mrs. Jeanne Duhan receives Golden Apple award"
Congratulations to Jeanne Duhan!! She is an incredibly talented and hard-working musician and teacher, and we areso happy to see that her enthusiasm and drive has been rewarded. The KPBSD has been fortunate to have her teaching here for these past years.